Top-of-the-line sonar technologies provide the best possible view of the environment beneath your boat. 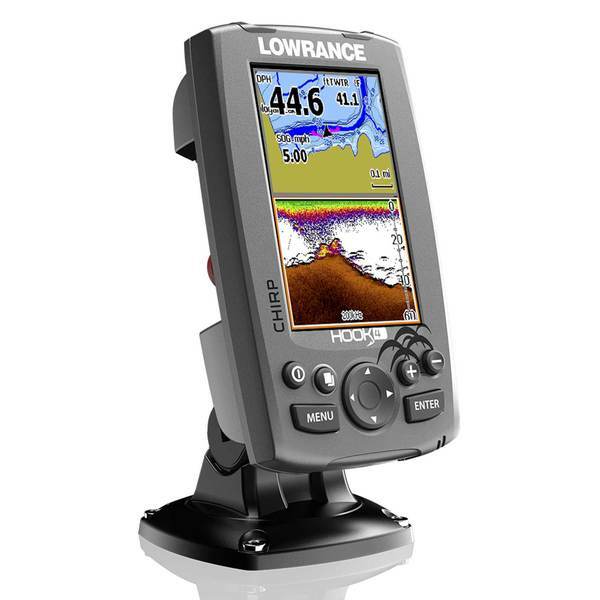 Both CHIRP and Scanning Sonar: It’s got both CHIRP and DownScan Imaging™ built in, so you get the clearest view of fish, structure and the bottom. CHIRP provides more definition and better target separation than traditional sonar, and DownScan Imaging™ provides a nearly photographic image of what’s down below. Enhanced sonar sensitivity, excellent target separation and superior noise rejection make seeing baitfish and gamefish targets easier. Full color LED-backlit displays are bright and clear in all lighting conditions, and all functions are controlled and accessed via a simple keypad. Nautic Insight™ PRO Cartography: This device comes with C-Map Nautic Insight™ PRO Cartography, which includes detailed contour intervals for over 9,000 lakes in the 48 Lower States and high-resolution bathymetry for all U.S. coastlines. This technology brings you both fresh- and saltwater Fishing Hot Spots and Points of Interest and contains updated Fish and Wildlife regulations and records. Dynamic tides and currents, port information and detailed harbor charts come standard. Additional depth contours can be added via crowd-sourced data generated by Lowrance, Simrad and B&G user communities. microSD card slot for adding maps. Use your Insight Genesis™ custom maps created from your own sonar logs or compatible maps. Lake Insight® and Nautic Insight® PRO, Navionics® +, C-MAP MAX-N, Fishing Hot Spots® PRO, & Insight Genesis are all compatible with this technology.